To all my canadian blog amigas, HAPPY VICTORIA DAY! This doesn’t mean too much to me so I decided to celebrate Thanksgiving instead. this picture doesn't do it justice.. I hope everyone had some sunshine in their lives this weekend! I have been minorly obsessed with smoothies these days….Inspire me: What are your fav smoothie combinations? Mmm I miss pumpkin!! I try to only buy it in the fall since I have a huge spending problen with it! I can finish a can in 2 days, so it can get kind of expensive! I love pumpkin!! I buy the ED Smith Pumkin Puree – and fun fact about me – E.D. Smith Factory is in Winona…the town I grew up in (outside of Hamilton)! Pumpkin pie smoothie? Sign me up! 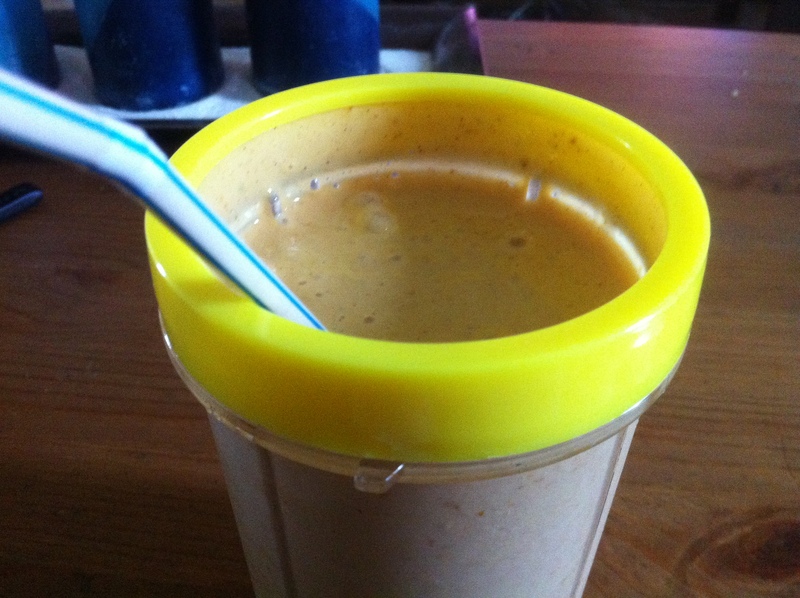 LOVE pumpkin in my smoothies and haven’t done it in awhile…must remedy this! I love acai berry in my smoothies — gives em a great antioxidant boost! I haven’t missed something this obvious since that time I walked through a pile of hundred dollar bills while watching a squirrel climb up a tree. I’ll never get that money now, but I will have a pumpkin pie smoothie. Mmmm… pumpkin pie smoothie sounds fabulous!